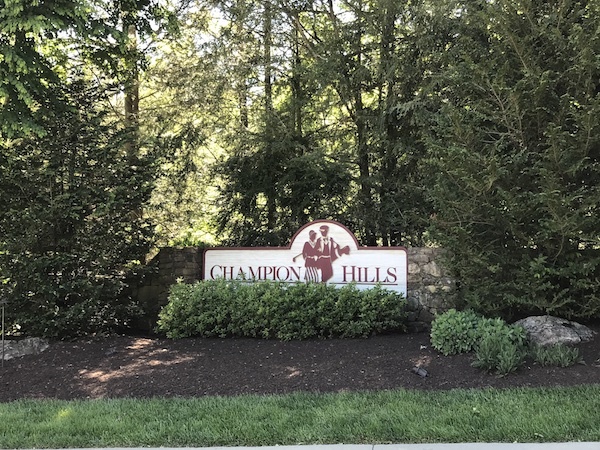 Champion Hills is a luxury golf community located in Hendersonville and features a stunning golf course, clubhouse, and a variety of year-round recreational activities. The neighborhood is conveniently located just five minutes from downtown Hendersonville, which boasts a picturesque Main Street lined with antique stores, boutiques, bakeries and cafés. Set in the Blue Ridge Mountains and surrounded by beautiful mature trees, homes in the neighborhood range from modest 2,500 square-foot houses to stunning estates totaling over 8,500 square feet. Champion Hills is zoned for Atkinson Elementary School, Flat Rock Middle School, and East Henderson High School.